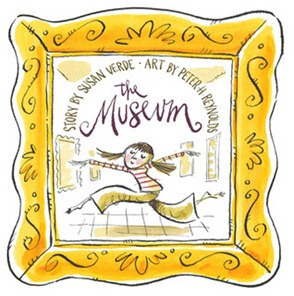 Susan Verde is the author of "The Museum" illustrated by Peter H. Reynolds. Shelives in East Hampton New York amidst an explosion of Legos, art supplies, animals and picture books with her twin boys Joshua and Gabriel and her daughter Sophia. They are the constant inspiration for her writing. They never let her forget how to see things from a child’s point of view and keep the kid in her alive and kicking. 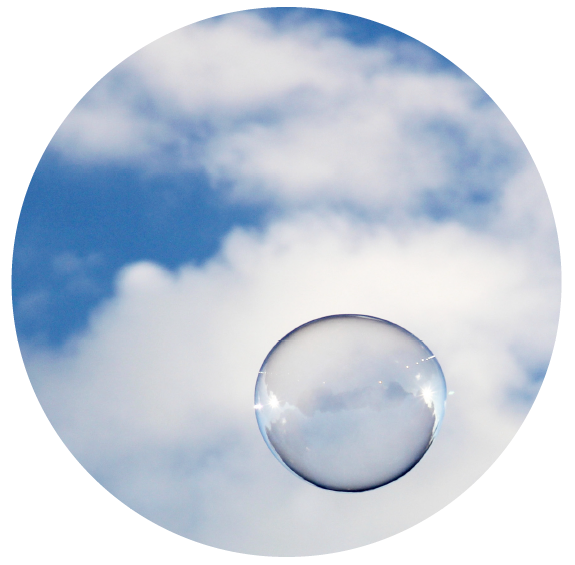 Susan says about her dot, "I was having a lovely summer afternoon with my children, taking pictures as they blew bubbles into the bright blue sky full of fluffy white clouds. This one incredible bubble floated into the air and hovered, lingering for what seemed like forever as we all stopped and stared in awe and amazement. I was able to get a photograph of it just before it popped. There is nothing like a bubble to capture the joy and wonder that life brings and the kid in all of us. What a dot!!" 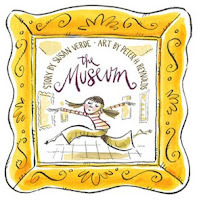 Learn more about Susan on her website. What a great photo, Susan! You really captured the right moment! I am trying to organize a "dot workshop" in a primary school near Paris for next week. It will be on "what can you do with dots in a foreign language lesson?" In fact "dots" are very helpful to learn English as a second language!